Put on a pan of salted water for the pasta. 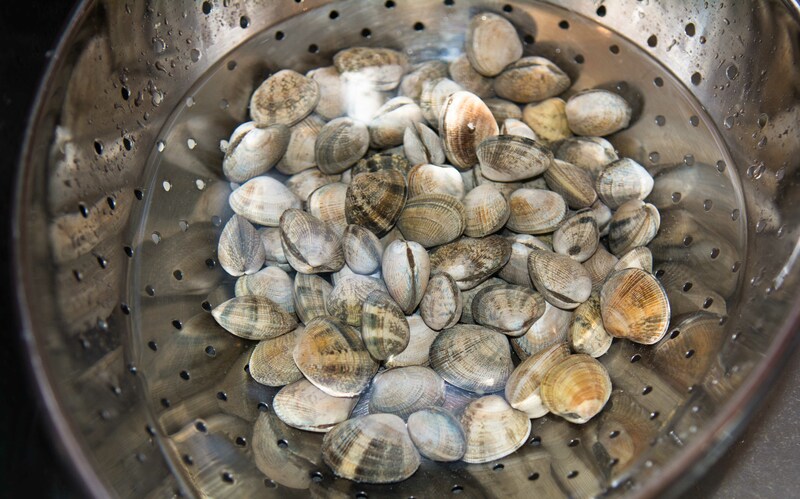 Soak the clams in cold water in the sink, in a sieve; easy to get ’em out then. 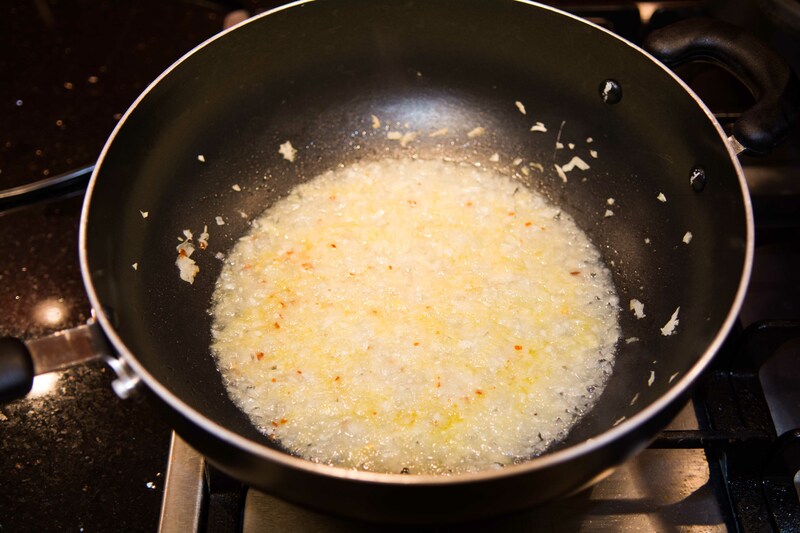 Then chop the garlic and the onion; and put a pan on the stove with a good glug of oil – not too hot though. Gently cook the onion and garlic in the oil so it’s stewing not frying. After five minutes or so, pour in a glass of wine and a cup of fish stock and let it reduce whilst softening the onions. Sprinkle in the chilli about now too. You want to get to a point where you have soft, flavoursome onions in about half a good glass of liquid. Put the pasta on and about eight minutes before it’s cooked (most take ten minutes or so, but do check)…put the clams in the onion and wine pan and turn the heat up; and put on a lid. After five or so minutes, take a peek – if the clams are all opened, turn heat off and put lid on; if not keep boiling. Do’t let it dry out – pour in more wine if needs be. 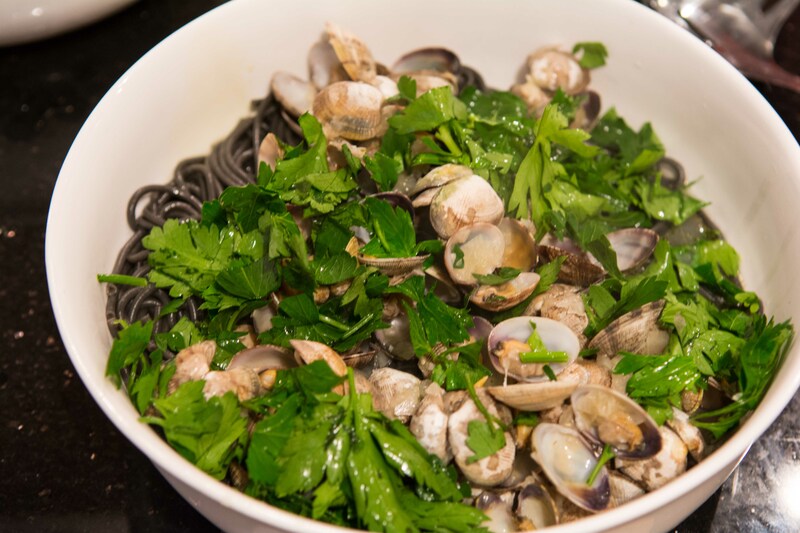 Drain pasta add a glug of oil to it and then toss on the now cooked, juicy and flavoursome clams, stir in the parsley and a good grind of black pepper.